I just love the people I meet in this business. 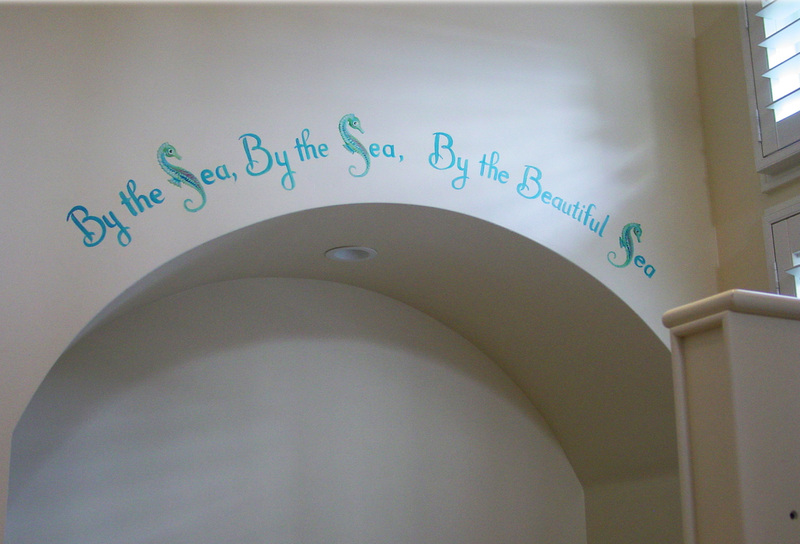 I was expecting a young, snobbish, and demanding urbanite when I booked this mural at an exclusive beach house not 30 yards from the water. Was I ever wrong! This couple was sweet, gracious and a delight to work with. I painted this little ditty from a song that I happen to love. I even have it on an old Disney VSH. This is over a crib in a well lit, bright and clean room. I hope it brings them joy. Next Post3D Crime Scene Reconstruction. That’s my #1 fan. Thanks Mom! Love you too. I love it! Clever and simple Jame.